An iconic horror movie from my childhood! 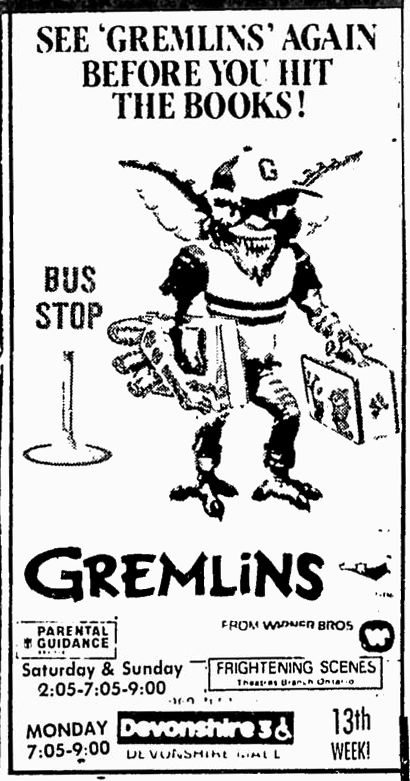 Gremlins is a comedic horror movie directed by Joe Dante and released by Warner Brothers. It’s an iconic film that most kids from the eighties would recognize. Gremlins combines horror and dark comedy in a way that pushes the boundaries of the PG rating the MPAA had bestowed upon it. It’s a high-quality and fun Christmas movie, but it also has green blood and guts. William "Billy" Peltzer is the new owner of a Mogwai he names Gizmo. Gizmo’s cute and he makes a great pet, but he has a very specific set of rules. No water, no food after midnight, and no bright lights. They seem simple right? It doesn’t seem that anyone follows them though. Billy accidentally spills water on Gizmo, and doesn’t seem to think anything of it. 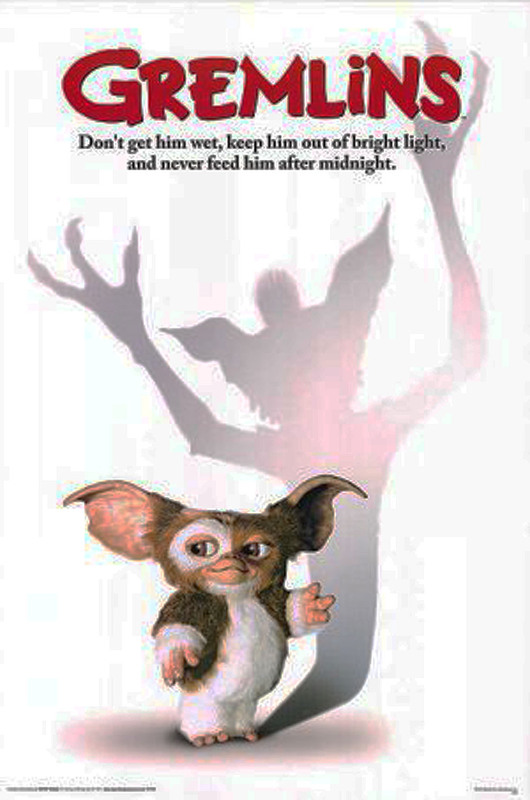 Unfortunately, when Mogwai get wet they multiply into terrible monsters. 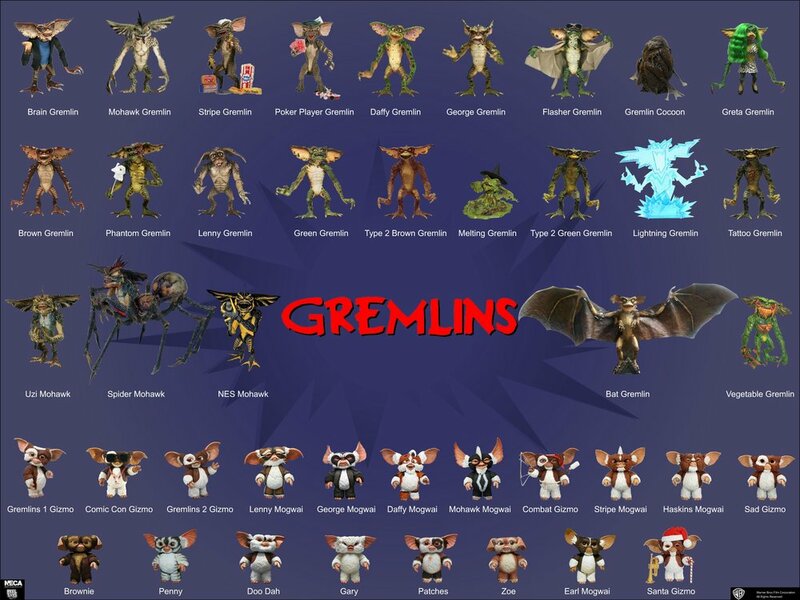 Gremlins. These are small hairless Mogwai that have green skin and bad attitudes. The Gremlins run havoc and turn Kingston Falls into a warzone. This movie is a great example of what the original PG rating looked like. Swearing, sexual references, violence and gore. These were all common place in both R rated features and these early PG movies. The only difference is that Gremlins is family friendly. It’s a fun feature that really tests the waters. If it had been released today this would be a hard PG-13, and cuts would be required. This picture has numerous comedic scenes peppered with mayhem. The Gremlins are both hilarious and scary, they are drinking in a bar in one scene. Smoking, boozing and laughing. Then someone is shot with a small crossbow or attacked by a gremlin with a chainsaw. The humans fight back against the Gremlins with gory results. The kitchen scene with Billy’s mom murdering Gremlins is filthy with green blood. It’s wonderful. I had a great time watching Gremlins. It was hilarious and scary at the same time. A combination that is hard to pull off so well. This is such a fun picture to watch with friends. I suggest it. I hadn’t seen it since I was a child, and I thought that it would have lost some of that glitter. But, it holds up. Gremlins is entertaining through and through. The characters are extremely frustrating, but the monsters make up for their ignorance. What other comedy movie is going to have a young girl retell an extremely graphic story about her father burning to death in a Santa outfit?